Energo, TSL, has been in the crypto world since Nov 21st, 2017 and runs free of a reserve bank or single administration. You cannot mine the decentralized crypto currency, so in order to get TSL, you can buy with a cryptocurrency exchange service. 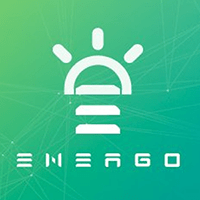 Energo can be found online, on social networks like Telegram. We don't have any exchanges listed for Energo yet, check back soon! We don't have any wallets listed for Energo yet, check back soon! We don't have any debit cards listed for Energo (TSL) yet, check back soon! We don't have any price charts listed for Energo yet, check back soon!